The Eureka design in Tsar Carpets’ Stralis collection, accentuated with shimmering tencel fibre, references Australia’s goldrush history. 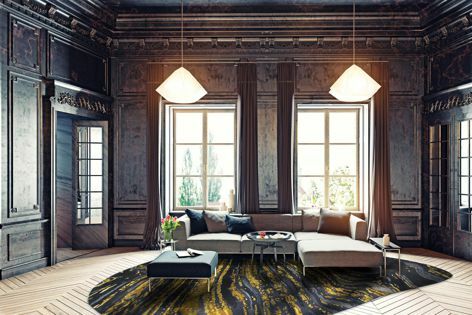 Stralis by Tsar Carpets is a celebration of uniquely Australian terrain, layers and hues – from the outback to the coast, from mountain summits to raw earth. Designed in-house, the collection comprises ten hand-tufted rugs, ideal for hospitality, retail and high-end residential projects.